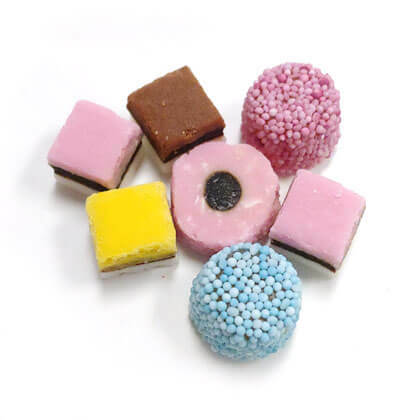 The traditional mix of licorice candies in a new mini size. 10 oz bag. Approx. 21.5 pieces per ounce. Large photo has one yellow regular size piece (top right) just for size comparison.